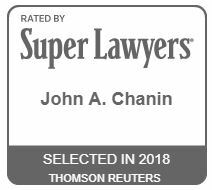 John Chanin is a trial lawyer with extensive experience in complex business litigation, financial fraud, government investigations, and white-collar defense. 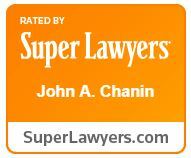 In his 28-years of practice, John has handled and tried diverse cases involving securities, intellectual property, and trade secrets, commercial disputes, employment agreements, real estate, healthcare, and financial institutions. 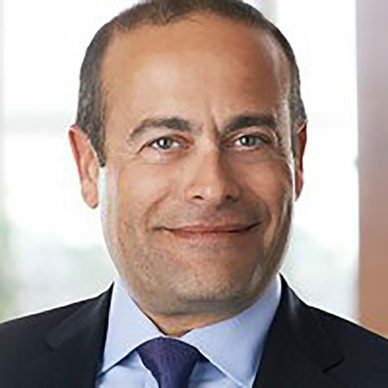 He has also represented numerous companies and individuals facing government investigations, enforcement proceedings, and white-collar prosecutions. Often practicing at the intersection of civil, criminal, and regulatory law, John brings a global perspective, keen intellect, and when necessary, vast courtroom experience to bear for his clients. In recognition of that experience, John was elected President of the Faculty of Federal Advocates in 2011. Represented Fitch, Inc., one of the three major independent credit rating agencies, in litigation filed by the State of Wyoming over its ratings of mortgage-backed securities, alleging losses of hundreds of millions of dollars when these securities were ultimately downgraded. John engineered a motion to dismiss based on personal jurisdiction that resulted in the complete dismissal of the case against Fitch. Represented a Norwegian software developer in a cross-border business dispute involving its U.S.-based subsidiary and distributor. John successfully negotiated a complete dismissal of the claims. Represented a major healthcare software company in a federal adversary proceeding alleging the fraudulent conveyance of IP assets worth more than $60 million. Represented a Canadian mortgage lender in a cross-border fraud investigation and federal civil litigation brought by a putative class of borrowers. The representation involved complex jurisdictional issues and related proceedings in the Canadian courts. Represented a major cannabis greenhouse developer in a complex series of lawsuits with outside investors and state-licensed growers. Represented UBS Trust and UBS Financial in complex federal litigation involving a trust benefiting an heir to the largest private company in America. Represented a software company in federal litigation alleging contributory and vicarious copyright infringement. Represented Kirkpatrick Bank in a lawsuit involving a failed real estate development. In a six-day trial, John defeated numerous claims for lost profits and lender liability and secured a $9 million verdict for the client. Represented First Citizens Bank in numerous matters following its purchase from the FDIC as receiver of the former United Western Bank, including a complex series of actions in state and bankruptcy court involving a $12 million real estate project. Represented Bank of the West on numerous matters including in a complex foreclosure action involving numerous lender liability and mortgage securitization counterclaims, and a dispute with a former employee concerning trade secrets and a covenant not to compete. Represented the Sisters of Charity of Leavenworth Health System in a motion to compel arbitration of a multi-million-dollar dispute involving the purchase of Exempla Health Care System. Represented Charles Schwab & Co. in a successful motion to compel a securities arbitration before FINRA. Represented UrbanTrans Consultants in an international business dispute with a former joint venture partner. Represented a major oil and gas company in legal malpractice, negligence, and breach-of-fiduciary-duty claims relating to a private placement memorandum. Represented the nation’s second-largest animal-health-supply company in an unfair competition lawsuit brought by its main competitor. Represented one of the owners of a state-licensed cannabis business in a series of civil, regulatory, forfeiture, and criminal proceedings, including avoiding a threatened federal indictment. Represented the senior vice-president of a defense contractor in a criminal and civil investigation involving alleged false claims in a U.S. Army manufacturing contract. Represented a home health care agency in a State of Colorado investigation into Medicaid payments and related recoupment claims. Represented the administrator of a medical practice in a federal criminal investigation into alleged violations of the anti-kickback statute and billing fraud. Represented a resort development company in a State of Colorado investigation into alleged violations of the consumer protection act and deceptive trade practices. Represented BAE Systems Applied Intelligence on numerous matters concerning electronic communications privacy, litigation, and subpoena compliance. Represented Credit Suisse Securities (USA) LLC, in a matter involving allegations of misappropriation of confidential information. Represented the owner of a trucking company in a 27-count federal, white-collar fraud prosecution. John obtained a complete dismissal of the case. Represented the court-appointed receiver in the $140 million Sean Mueller Ponzi-scheme in matters involving the investigation and tracing of assets of the Mueller hedge funds, and litigation to recover those assets for the benefit of the investor-victims. Represented a former officer of a major energy company in a federal criminal investigation into alleged fraud involving tax credits applicable to the production of bio-diesel. Represented a former officer of TierOne Bank in a Securities and Exchange Commission investigation concerning financial reporting. Represented a local community bank in an internal investigation of fraudulent insider loans and related disclosures to regulatory agencies. John’s investigation ultimately resulted in the unraveling of a $20 million Ponzi-scheme and a successful federal prosecution. Represented a major construction company in a federal criminal investigation into alleged bid-rigging and anti-trust violations. Represented a former federal official in the Minerals Management Service in a multi-year investigation by DOJ’s public corruption division. Represented a World Champion cyclist in a week-long arbitration challenging her selection to the U.S. Olympic Team. John obtained a complete victory for his client. Represented numerous Olympic-level athletes in disputes with the U.S. Anti-Doping Agency (USADA).